In The Charisma Myth, Olivia Fox Cabane offered a groundbreaking approach to becoming more charismatic. Now she teams up with Judah Pollack to reveal how anyone can train their brain to have more eureka insights. The creative mode in your brain is like a butterfly. It's beautiful and erratic, hard to catch and highly valued as a result. If you want to capture it, you need a net. Enter the executive mode, the task-oriented network in your brain that help you tie your shoes, run a meeting, or pitch a client. To succeed, you need both modes to work together--your inner butterfly to be active and free, but your inner net to be ready to spring at the right time and create that 'aha!' moment. But is there any way to trigger these insights, beyond dumb luck? Thanks to recent neuroscience discoveries, we can now explain these breakthrough moments--and also induce them through a series of specific practices. It turns out there's a hidden pattern to all these seemingly random breakthrough ideas. From Achimedes' iconic moment in the bathtub to designer Adam Cheyer's idea for Siri, accidental breakthroughs throughout history share a common origin story. In this book, you will learn to master the skills that will transform your brain into a consistent generator of insights. · Imagine an alternate universe where gravity doesn’t exist, and the social and legal rules that govern it. · Map Disney’s Pocahontas story onto James Cameron’s Avatar. · Rid yourself of imposter syndrome through mental exercises. · Literally change your perspective by climbing a tree. · Stimulate your butterfly mode by watching a foreign film without subtitles. 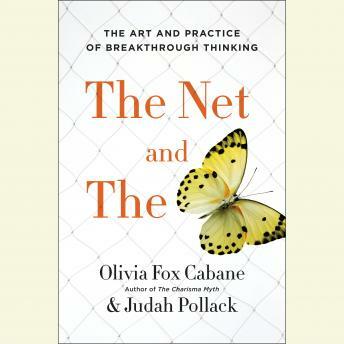 By trying the exercises in this book, readers will emerge with a powerful new capacity for breakthrough thinking.